Public transportation rail systems and trains are potentially very hazardous—not only to pedestrians and patrons but to maintenance workers working on the system. Unfortunately, this proved true yesterday when two veteran employees of Washington, DC’s Metro system–Jeff Garrard, 49, and Sung Duk Oh, 68–lost their lives as they were crushed beneath a maintenance truck. The victims were known to have impeccable track records and had not laxed in their services to Metro. With over 10,000 hours of experience between them, Garrard and Oh were fastidious and always careful. Yet, they lost their lives due to someone else’s carelessness and negligence. Both Garrard and Oh lived in Montgomery County, Maryland. Garrard is survived by a wife and teenage daughter (pictured above, photo courtesy of this Washington Post story). It is always very difficult losing a loved one. In normal circumstances it becomes hard to adjust to someone’s passing away. But if a cherished person loses his life to such carelessness, the wounds never seem to heal. Our prayers go out to Garrard’s and Oh’s family. In addition, this is not an accident unique to Washington DC’s public transportation system. It could have just as easily happened in San Diego or anywhere in California’s many public transportation services. One has to wonder whether the late hours and long hours that the crews were working also played a factor in this industrial accident. 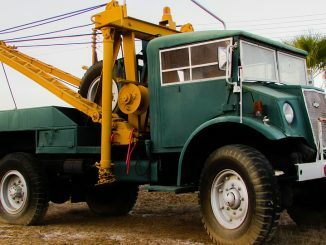 Many times accidents like these occur when workers are fatigued. If you or a loved one has been injured in a San Diego workplace accident, please contact San Diego industrial accident lawyer and the San Diego personal injury attorneys. You may also contact the San Diego truck accident lawyers for a free consultation and helpful information. 40-year-old Christopher Barton Tatro was killed in a tragic hit-and-run car collision that occurred on December 17, 2011, around 2 a.m. on 91 Freeway in Riverside. According to California Highway Patrol, Tatro was loading a disabled vehicle onto his flatbed truck on the side of the eastbound lanes of the freeway near Monroe Street when he was hit by a tan sedan, possibly a beige late-1990s Saturn. The car veered from the number five lane into the left side of the tow truck and then struck Tatro. The collision threw Tatro about 60 feet into traffic lanes. He suffered massive injuries to his legs and torso. Tatro was immediately transported to Riverside Community Hospital where he was later pronounced dead around 4:20 a.m.
From the available information, it appears that negligent and distracted driving of the sedan driver contributed to this serious multiple vehicle collision. If it is found that the sedan driver was driving inattentively, then he may be held liable for this accident. Also, this sedan driver has committed the felony of hit-and-run, which is a direct violation of California traffic law. The victim’s family members should immediately seek counsel from an experienced Riverside County truck accident lawyer who would educate them about their legal rights. The victim’s family may file a wrongful death claim against the sedan driver to obtain compensation to cover funeral and burial costs, loss of anticipated earnings, loss of love, care and companionship, and other accident-related damages. 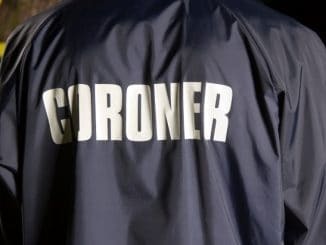 One man was killed and another is still missing in a fatal work-related accident that occurred around 8 a.m. Thursday, November 3, 2011 in a Collin County suburb in Texas. According to officials, the two contract workers from North Texas Municipal Water District went down into a 60-inch wastewater collection line to remove a clog. The sewer line was filled with poisonous gas fumes that killed one worker immediately. Neither was wearing respiratory devices. Rescue crews pulled the worker’s body from the sewer pipe, but a second is still missing. Rescuers believe he was swept down the line, which runs several miles long. Investigations are underway and the crew plans to search various manholes to find the other worker. Our personal injury office offers our deepest condolences to the family, friends, and coworkers of the victims. We understand that this puts a huge emotional and financial burden on the victims’ families. They should immediately consult with a workplace accident attorney to learn about their legal rights and options. They may be able to receive workers’ compensation to cover the medical bills, funeral costs, and loss of love and wages. 58-year-old Bruce Lynn Leibfried died in a Sioux Falls job site accident on November 1, 2011. 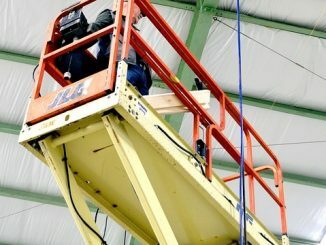 He was working on a scissor lift at 7 a.m. when the bucket of his crane was lodged between some tubing and a rafter in the ceiling. No one was nearby. Sioux Falls Fire Rescue and Rural Metro ambulance responded to the call of a work site accident at 8 a.m. and found Leibfried dead at the scene. The Occupational Safety and Health Administration is currently investigating the cause of the incident. Right now, the deceased worker’s family members should consult with a personal injury attorney to learn about their legal rights and options. If the electrical company could have prevented the accident, then the family can sue for compensation by filing a wrongful death claim. The family may also be eligible for Social Security benefits, depending on the situation. What are My Employer’s Duties Regarding Workplace Safety? In California, workplace safety in most places of employment is regulated by Cal/OSHA, the government agency responsible for enforcing health and safety regulations. When Cal/OSHA regulations are violated, workers can file reports with the agency that will trigger an investigation and correction, if necessary. These reports can be filed anonymously: although Cal/OSHA will know which worker filed the report, the worker can request that their name be kept confidential from the employer. Employees have the right to point out Cal/OSHA violations and to refuse to do any work that would expose them to a hazardous situation in violation of these regulations. If your workplace is investigated by a Cal/OSHA investigator, you have the right to point out dangerous conditions to the investigator. If you’ve been injured on the job, don’t wait: call the skilled San Diego personal injury attorneys for a free and confidential case evaluation. An unidentified 60-year-old motel worker in El Cajon was struck and killed in a serious car accident that occurred on July 14, 2011, around 1 p.m. at the Villa Embasadora on 1556 E. Main Street. According to authorities, a 75-year-old female motorist accidentally pressed on her gas pedal by mistake, plowing into a motel maid and pinning her against a wall. Authorities responding to this auto accident pronounced the victim dead at the accident scene. 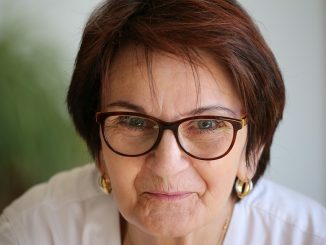 The elderly car driver was in the parking lot when she stepped on the accelerator instead of the break and killed the maid. From the available information, it is evident that the negligent actions of the motorist led to this serious crash that claimed one life. The driver, as well as possibly the motel, may be held responsible for the maid’s wrongful death. The family of a deceased car crash victim can file a wrongful death claim to seek compensation for funeral expenses, lost future income, loss of love, care and companionship, and other accident-related damages. An experienced San Diego pedestrian accident lawyer will be able to better advise the victim’s family about their legal rights and obtain suitable compensation as well. 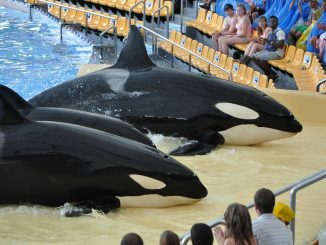 In an Orlando, Florida case involving the death of a trainer working with killer whales at SeaWorld, an administrative law judge recently ruled that the U.S. Occupational Safety and Health Administration (OSHA) could require the use of barriers between trainers and whales, according to a recent news report from CBS Los Angeles. The ruling may change how trainers and whales work together at aquatic theme parks and museums throughout the country, including California. The subject of the hearing was a 2010 fatal drowning accident at SeaWorld in Orlando, where a 40-year-old trainer lost her life when a 22-foot-long orca grabbed her ponytail in his jaws and pulled her into the tank. She suffered drowning and blunt force trauma to her head, neck, and upper body, which proved fatal. OSHA charged SeaWorld with a “willful” violation of safety regulations and levied a $75,000 fine. During the recent hearing, the judge reduced the violation from “willful” to “serious,” noting that SeaWorld did have safety measures in place. However, the judge also ruled that it was “feasible” to require trainers to stay behind a barrier when working with whales and other animals in order to prevent accidents such as the 2010 death. OSHA is expected to begin requiring these barriers, effectively ending shows in which trainers and animals work in close contact. Workplace injuries can occur both in high-profile jobs like theme park attractions and in everyday workplaces. If you’ve been injured on the job in southern California, the knowledgeable San Diego workplace injury lawyers can help. Contact us today for a free, confidential consultation. If you are a San Diego resident that has been injured on the job, you deserve to get full coverage of your medical costs and lost wages, right? WRONG. Recent changes in the California Workers Compensation Act now limit the scope and depth of your benefits. Though the act protects workers and guarantees them compensation without having to go through the time-consuming and costly court system, many injured victims will still have to battle it out with their employers and workers compensation insurers. 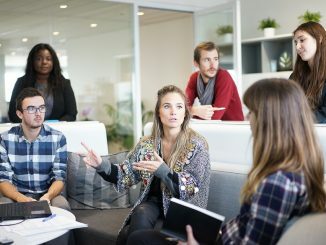 It is best to have an experienced and capable San Diego workers compensation attorney by your side to handle this dispute and get the money you need and deserve. Contact us for a free consultation. Different jobs carry different risks. It can be as safe as sitting in an air-conditioned office behind a computer or as dangerous as doing construction on the roof of a 30-story open-aired building, being thrashed by a storm. It is your employer’s responsibility to keep you safe on the job or cover your expenses if you get injured. Though the California Workers Compensation Act limits the types of benefits you can receive, you may still be able to pursue a personal injury lawsuit depending on the situation. This system can overlap and become very complicated. With an experienced San Diego work injury attorney by your side, you can get the most from your accident. It is Your Employer’s Responsibility to Keep You Safe on the Job or Cover Your Expenses if you Get Injured. In Addition, Other Drivers and Employees of Other Businesses May Also be Responsible for Your Injuries. Filing a Claim can be Difficult. An Experienced Attorney Can Help. Thousands of Americans and residents of San Diego are hurt in work-related accidents every year. In a 2009 report by the Bureau of Labor Statistics, approximately 3.3 million injuries were reported, and more than half were construction workers. Recent changes in laws governing employees in California have restricted the types of reparation available to injured victims. Depending on the circumstances of the incident, injured employees may be entitled to benefits from a worker’s compensation claim, personal injury lawsuit, or both. The California Workers Compensation Act states that businesses in San Diego are held liable if an employee is injured on the job and must provide medical compensation and income replacement. However, this system is a double-edged sword. 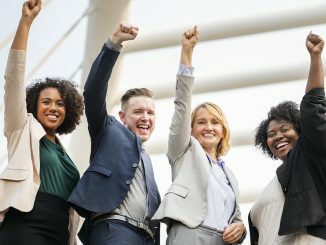 Though employees do not have to prove fault to get compensation from their employers, the insurance coverage that they do get often does not provide enough benefits for injured workers. However, in many situations, injured workers can pursue both a worker’s compensation claim and a lawsuit against a responsible third-party responsible, if it is not the employer. For example, if an employee is injured is hit on the job while driving a company car, the injured employee may be entitled to a personal injury lawsuit against the driver of the other vehicle. While pursuing this claim, he is still able to receive benefits through his employer’s workers compensation insurance. Pursuing a third-party claim can result in added compensation to the injured worker. This is a problematic situation because the compensation that an employee receives from a third-party claim may negate a portion of the benefits from the workers compensation insurance. With an experienced and capable San Diego work injury lawyer by your side, these issues can be resolved. Our attorneys will get the maximum amount of money for you to pay for the damages inflicted on you by the work accident and resolve issues between the third party, employer, and you. You have likely heard about the recent deadly tour bus carrying tourists, mostly from France, from the San Francisco area down to Los Angeles, where they were due to depart back to France. The Orion Pacific tour bus had overturned on a highway overpass in Central California where four passengers were ejected from the bus as it lay in a wreck around 3:30 p.m. on Tuesday. 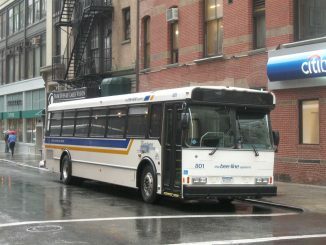 There were five confirmed deaths from the bus accident. A new detail reveals that the American driver, John Egnew, 69, of Corona in Riverside County, had been involved in another accident about three years ago. The Associated Press found evidence that in 2005, Egnew struck a 71-year-old woman in Las Vegas as she was crossing the street with her husband, leaving the woman with serious injuries. Egnew claimed that he didn’t see the pedestrian on the road. Wind turbines are often touted as “green” alternatives to generating electricity that don’t rely on petroleum or create greenhouse gases or dangerous radiation, the way conventional coal or nuclear plants often do. However, little attention has been paid recently to the serious accidents that can take place at wind turbine sites, according to a recent article in East County Magazine. According to researchers, approximately 128 wind turbine workers die each year as a result of workplace accidents. Many of these accidents occur while workers are attempting to repair or maintain the wind turbines’ spinning blades. Although the equipment is supposed to have shut-off systems to prevent accidents caused by moving blades, the turbines are so delicate that even a moderate breeze may start them moving, causing accidents. The height of most wind turbines also creates a risk for workers. Several fatal work accidents since 2003 have involved workers whose safety equipment has malfunctioned or been caught in wind turbine equipment and broken, causing them to fall several hundred feet to the ground. Finally, weather conditions often contribute to wind turbine injuries and deaths, such as a 1994 Minnesota accident in which a man was seriously injured by chunks of ice falling from wind turbine blades. Our trained San Diego workplace accident attorneys apply their legal skills and practical experience to fight for outstanding results for each client we represent. We’re dedicated to helping injured workers and their families get the compensation they need so they can focus on getting back on their feet. For a free and confidential consultation, contact us today. Most of the time, when San Diego workers are injured on the job, worker’s compensation should cover the costs of the injury. It usually does not matter whether the worker is at fault for the injury or if the injury is caused by an unsafe condition on the site. Even if a San Diego worker at work is clumsy or stops paying attention while operating on a machine, worker’s compensation will most likely cover the costs of the injury. Carelessness and even recklessness are not enough to prevent compensation for a San Diego injured employee. 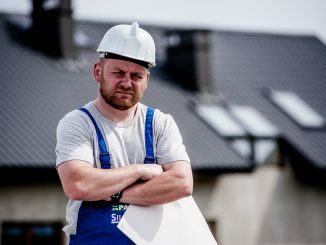 Worker’s compensation may be denied to San Diego workers when they self-inflict injuries while committing a crime, or if they hurt themselves while violating a company policy such as drinking on the job. 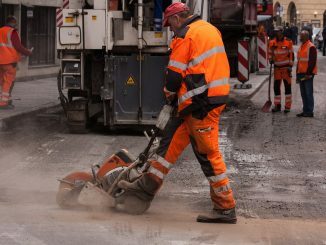 However, if none of these situations are true and a San Diegan is hurt on the job, they are entitled to rights and financial pay-offs for the costs. 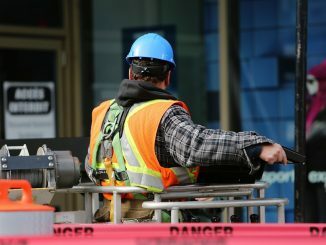 In addition, if a San Diego laborer is injured while on the job due to the negligence or carelessness of an employee or agent of another company (one other than his employer), then he may have a civil workplace accident claim against the other company for its’ employee’s negligence. A San Diego man was killed on February 6 at the Miramar Landfill in a workplace accident when a forklift fell from a rental truck on top of him, crushing him. 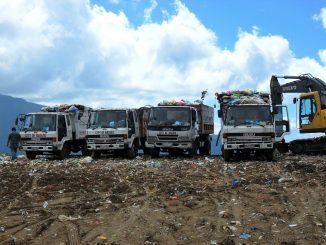 The man, Lee Haleem, was at the landfill because he was relocating his business and went to the landfill as part of his move. He was backing the forklift from a rented truck when the forklift backed over the tailgate, causing it to tip over and crushing Haleem. He was taken to the hospital but was declared dead less than an hour after the industrial accident.